With just a handful of days left before the most important election in a generation, Democrats continue to have an advantage. Is it the “Blue Wave” we’ve all been working toward? In my view, not yet. Let’s be honest, we’ve been here before. And, unfortunately, we’ve been passed by Republicans at the final moments of our campaigns. No doubt, 2018 is different. But we simply cannot afford to let up – we must finish strong. Something happened after our 2014 gubernatorial and 2016 presidential defeats. In many cases, ordinary people began to do more than recoil to the distasteful bully politics of Republicans – they decided to resist. First came Bruce Rauner’s disastrous plan to sink state government. People began to realize how out of touch he was. Remember his slashing of state funding of autism programming on World Autism Day? Or his end of support for breast cancer screenings for low-income women? Or, how about exploding the state’s debt to over $17 billion in unpaid bills and $1 billion in wasted interest payments? Rauner’s constant roll of the dice has only served to scatter Republicans away from him and motivate ordinary Illinoisans to run for the legislature. And Donald Trump’s victory has further eroded important constituencies. 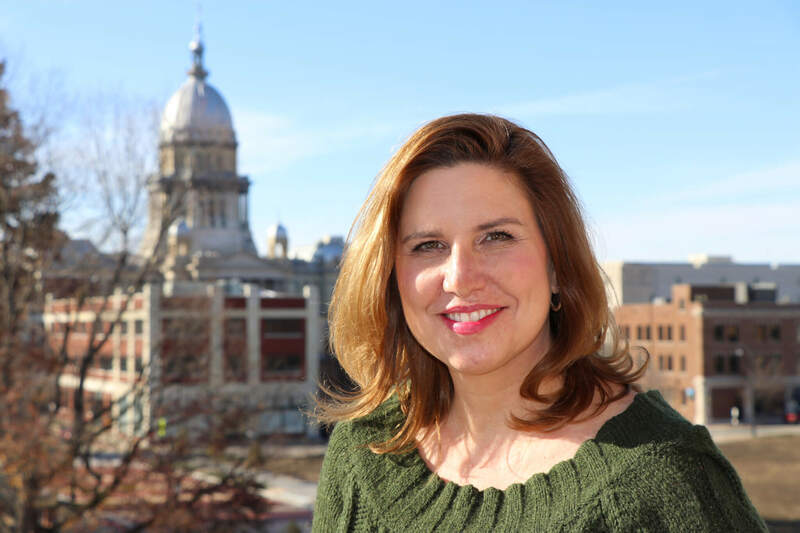 In particular, record numbers of women are running for office at all levels of Illinois government. In every corner of the state, our county Democratic parties have a presence like never before. We’ve worked with JB Pritzker, Juliana Stratton, the Democratic Party of Illinois and a host of allies to open county-level Democratic offices and headquarters to help candidates up and down the ticket. These offices are locations for gatherings, hubs for canvassing, operations for phone banks and campaign war rooms for strategy. In many counties, it’s the first time in decades that the local Democratic Party has a physical presence and it really has made a difference in building enthusiasm. Every one of our county chairs deserve credit for their work throughout the past three years in helping to provide world-class training for precinct committeepersons, activists and candidates. 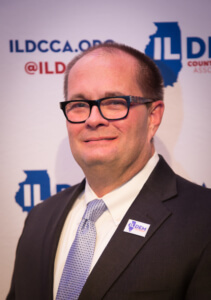 The Illinois Democratic County Chairs’ Association has delivered great seminars and hands-on programs to improve voter contact and community empowerment. Our boot camp weekends have motivated scores of men and women to become candidates. And their top campaign organizers have some of the best training in fund-raising, voter contact, media relations and campaign strategy. Three years of tireless effort all comes together – right now. So, really, we have no choice but to finish strong. In the coming days, I’m continuing my efforts to traverse the state to help Get Out The Vote. In this last month, there remains plenty of time to build upon the momentum we need to make this Blue Wave happen. And where I can help, I will. Create an #18FOR18 event. All you need to do is gather 18 voters to take a lunch hour (or other time) and vote early at the county clerk’s office or election authority. Snap a photo of your group and share it with us under the hashtag #18FOR18. Send a Bulk E-Mail to Friends. You know your fellow Democrats and leaning Democrats. Don’t assume they know the candidates. Don’t assume they’re thinking about voting. Sometimes people need a reminder. Tell your friends why you’re voting for Democrats. Tell them that they can vote early and ask them to do it. Make a plan to vote with help from our voter guide – https://idcca-bluewave.civicengine.com/ There are a lot of Democrats on the ballot this year. Maybe you know them all, maybe you don’t (the same goes for your friends). Our state-of-the-art voter guide is tremendous tool that you need to look at to help sort through the campaign noise and make a plan to vote. Get over there, use it and share the link to everyone you know. Do at least two hours of volunteer work per week. From now until election day, make a point to help out your favorite Democrat by doing at least two hours of volunteering per week. Get off your smartphone and knock on some doors, go to a campaign office or make some phone calls. If we multiply our efforts, one-by-one, we can help our candidates win up and down the ticket. If you’re not sure what you can do, refer to that voter guide above and contact your local or statewide campaigns. Or, of course, contact your local Democratic Party headquarters. Volunteer all day for Election Day, Tuesday, November 6th. Maybe you’ll need to take a day off of work, but it is absolutely crucial that Democrats have on-the-ground-support. Get a friend or two to join you. Up until the last seconds of voting, your help is desperately needed. Do NOT get complacent. I can’t stress enough how dangerous it is to be comfortable with how well you “think” the results of this election will be. Finishing strong means pushing yourself to the very limits until you cross the final line. This 2018 election is competitive, and the Republicans aren’t giving up. We can’t either. For the past three years, those of us who make up the Illinois Democratic County Chairs’ Association have poured our passion and energy into these final moments. I’m proud of our achievements and milestones – from our growing Chairs’ Brunch in August to our expanding network of activists. All of this comes together – right now. And it requires you to make it happen.